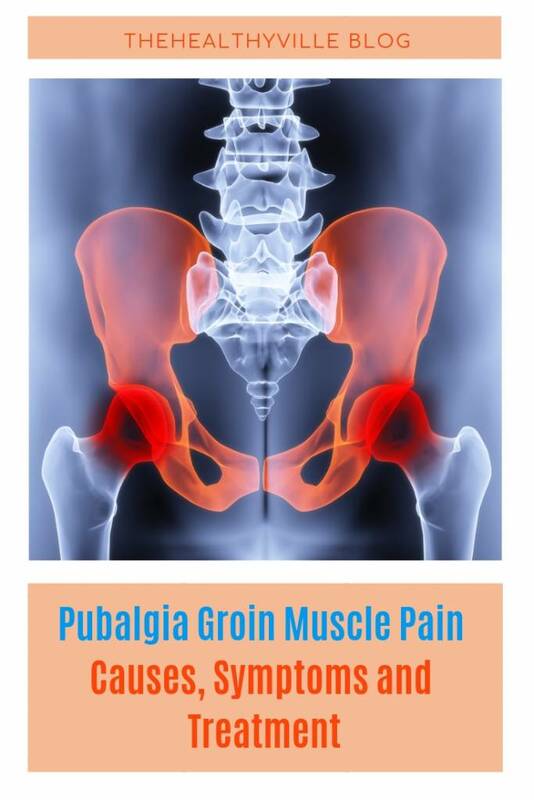 The pubalgia is an intense groin muscle pain that usually affects athletes. Today we will discover how we can treat this problem. The pubalgia is a problem that affects the inguinal region. You can find it by different names such as pubalgia, dynamic osteopathy of the pubis, pubic enthesitis or athlete’s hernia. This last name is due to the fact that usually athletes suffer from this condition. They perform a physical over exertion, which makes this problem more frequent in them. Especially, those who perform exercises that require several repetitions, changes of direction or rhythm. Today we will discover some more causes of this condition, the symptoms that warn about its appearance and the best way to deal with it. Overexertion or poor heating can favor the appearance of these discomforts. The pubalgia occurs due to muscle overload that occurs after repetitive and continuous movements. For this reason, this groin muscle pain usually occurs in people who practice sports of maximum performance. Poor physical preparation. If we want to play sports, but due to leading a sedentary life our physical form is not the best, it is possible that when starting some sports the pubalgia groin muscle pain makes an appearance. Poor heating. One way to prevent the above is by heating the muscles properly before training. Doing it quickly and badly can lead to a pubalgia problem. Therefore, we must take our time. Anatomical characteristics. It is possible that due to trauma in the pubic area or due to the physical condition of the person, there is a greater risk of suffering from this condition. When choosing a sport, it is important to review these aspects (especially the anatomical characteristics) so as not to immerse ourselves in a sport that will make us suffer and suffer many of the symptoms of the “athlete’s hernia”. An intense pain in the hip area that can limit the movements of the area is the first symptom of pubalgia. Suffering from pubalgia is not something pleasant. Its most characteristic symptom, as some studies point out, is “pain in the inguinal and pubic area that can radiate to the region of the adductors and to the lower abdominal region”. Pain before or after physical practice. This is the first warning signal that we should not confuse with stiffness or bad posture. The pain may be mild and usually go away. Intense discomfort during sports practice. Once the previous phase is over and without taking measures, the pain appears during the training, causing it to be interrupted, since it is much more intense. Limitation of movements. The continuation of the symptoms will only result in a pain that will be felt even at rest. The problem is that at this point you will notice certain limitations of movement. As we can see, the pain advances alerting that there is a problem. The way to solve this is by initiating an appropriate treatment. Strengthening and stretching exercises. These will help generate a good compensation in the muscles involved in pubalgia. Stretching will be included in the rehabilitation program that will include physiotherapy, osteopathy and electrostimulation. Anti-inflammatories. If the pain is very intense and causes interruptions in sports practice this type of medication will be used to reduce pain. Specific warm-up exercises. People suffering from pubalgia should perform specific warm-up exercises to prevent this problem from becoming chronic. Surgery. In the most severe cases, the doctor may recommend surgery to reduce the pressure in the area and, thus, improve the pain that the patient is suffering. As we have seen, this is a frequent problem in athletes. Therefore, if you perform any sport, before any pain in the inguinal area we recommend that you go to the doctor. An early diagnosis will allow you to solve a problem that can lead to a really acute and disabling pain. Don’t forget to SHARE the causes, symptoms and treatment for groin muscle pain with your friends and family on your social networks!